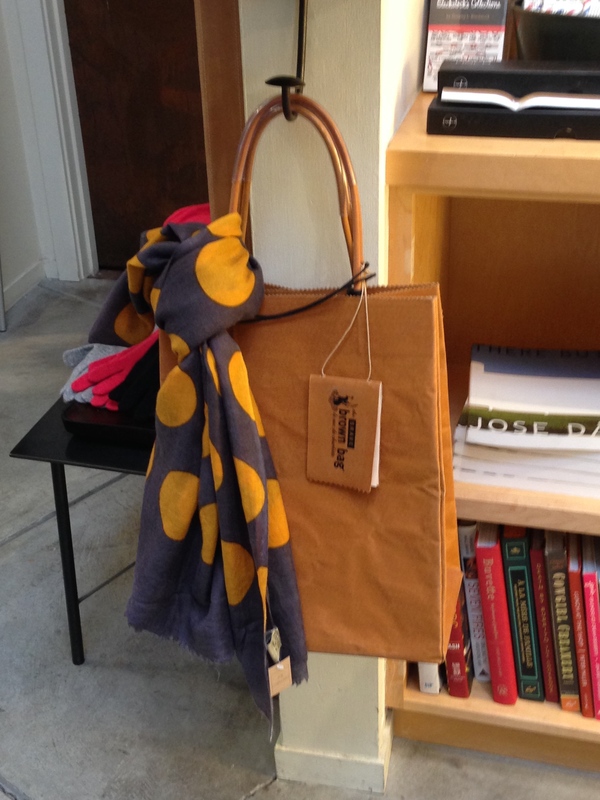 polkadotsandpaleo | Lifestyle blog about paleo cooking, art, and projects in the Bay Area. 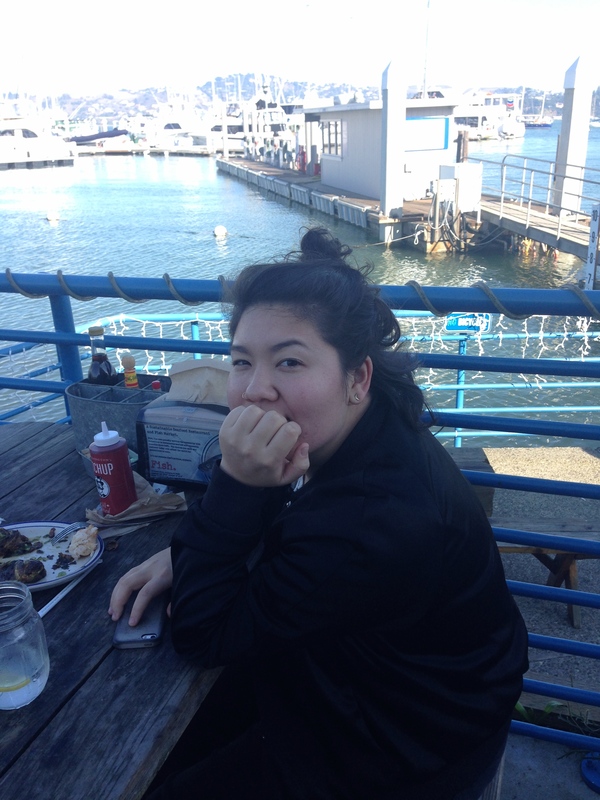 Lifestyle blog about paleo cooking, art, and projects in the Bay Area. I love Kalua Pig! It reminds me of Hawaii! 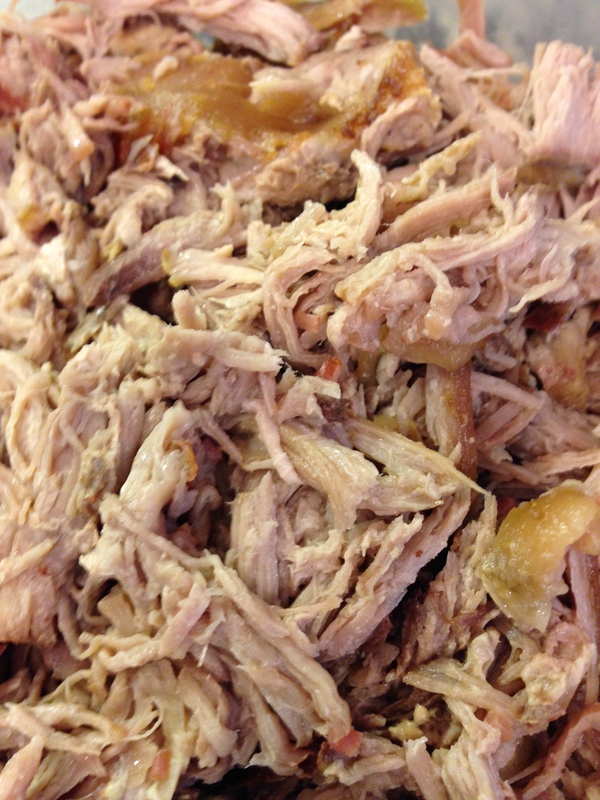 But if you are craving Kalua Pig and can’t jet over to Hawaii, this recipe from Nom Nom Paleo Food For Humans is the next best thing. It’s salty, savory, and absolutely delicious. What’s even better is that you use your crockpot. It’s December people! Let’s get those crock pots going. 1. Line the bottom of the crock pot with the 3 bacon slices. 2. Peel cloves of garlic and cut the garlic crosswise into small slices. Make a number of small slits all over the ends and top of the pork(big enough to fit a slice of garlic). Insert the garlic slices into the slits. 3. 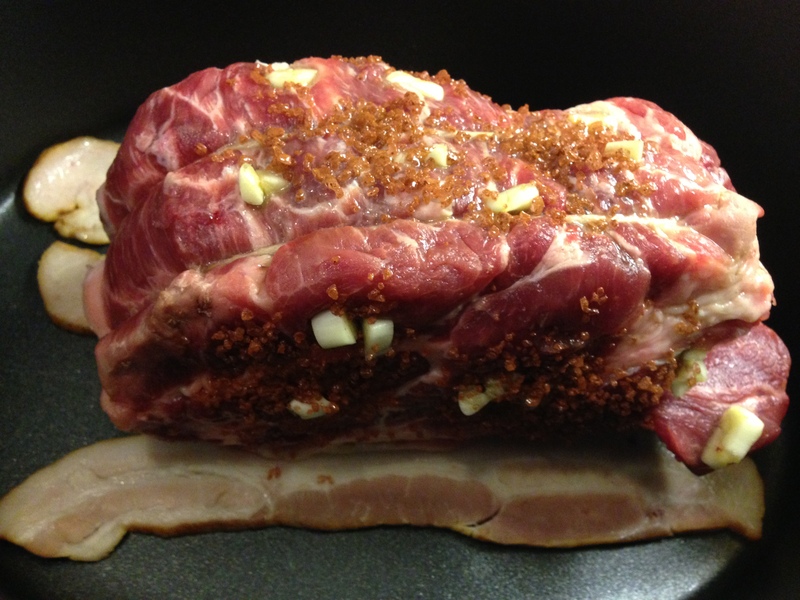 Rub the pork with the 1 TBSP liquid smoke. 4. Sprinkle 1 1/2 TBSP Alaea Hawaiian Red Coarse sea salt all over the pork. 5. Place pork on top of the bacon slices. 6. Cook on low heat for 16 hours. Don’t add any water. 7. After pork is cooked for 16 hours, remove the pork to a plate. 8. Using 2 forks shred pork. 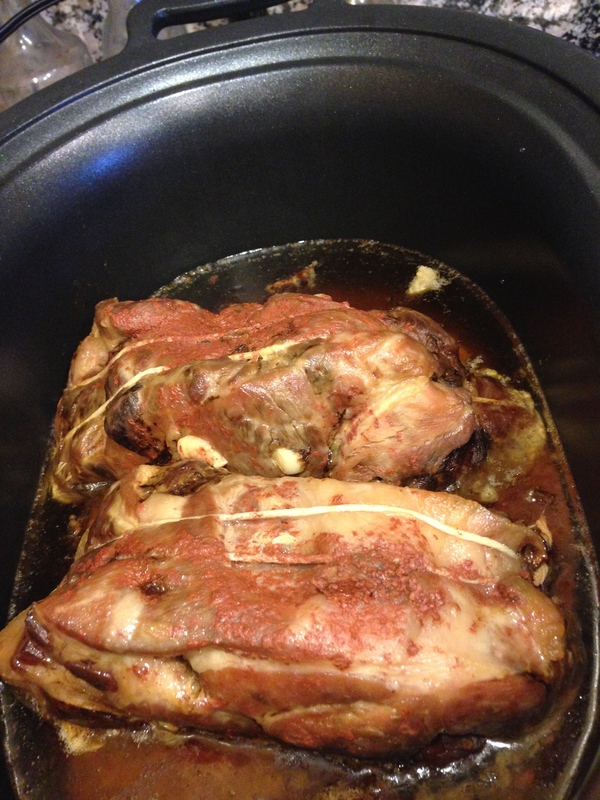 Check pork for taste and adjust by adding some of the cooking liquid. Don’t shred pork in the cooking liquid. It’s way too salty. 9. Now enjoy! Happy New Year! 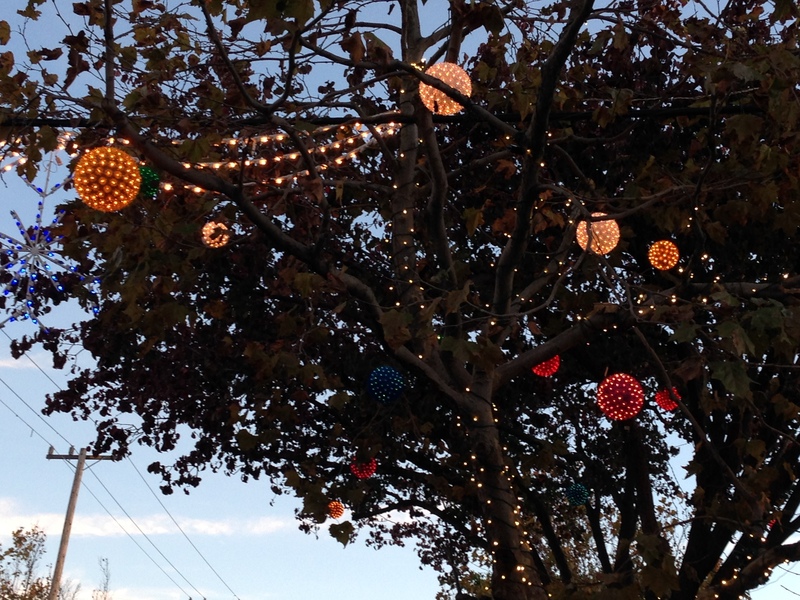 Sausalito is one of my favorite cities in the bay area! 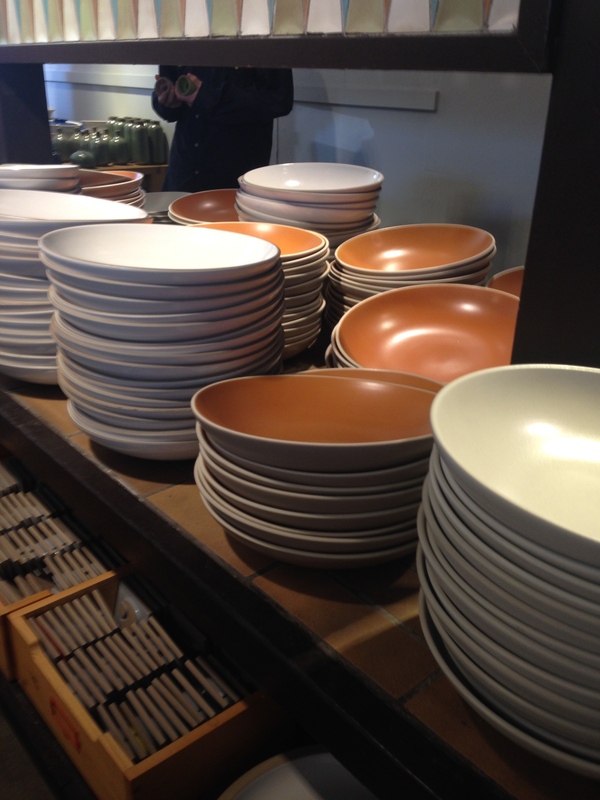 During the Thanksgiving break, Fred and I hit Heath Ceramics, my absolute favorite shop for tableware and tile. 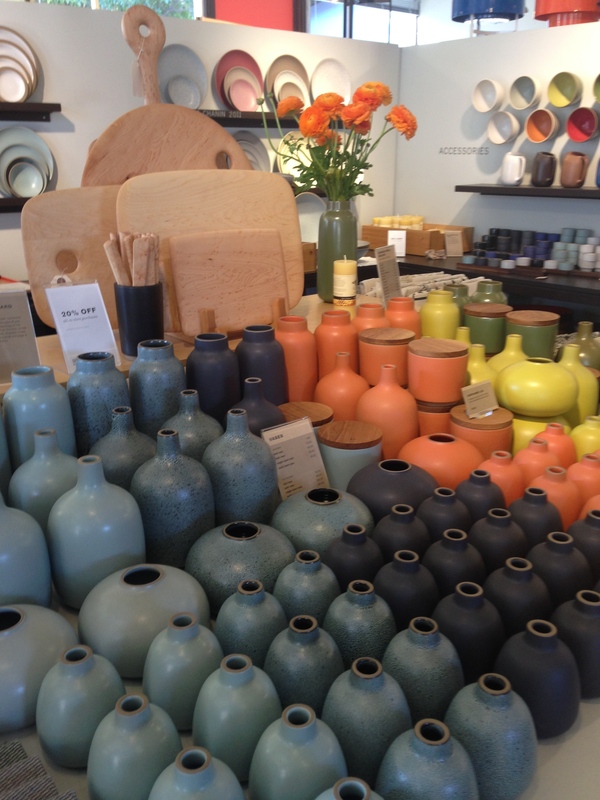 They make their pottery here at their Sausalito site and have an annual sale every November with everything in the store discounted 20%. 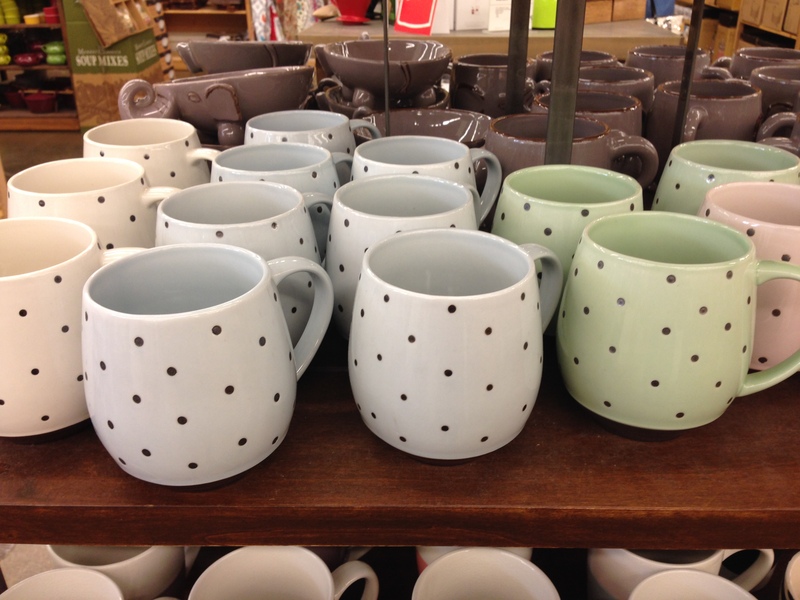 The best part of the Heath annual sale are the seconds(tableware that is not perfect). Heath discounts the seconds and then takes an additional 20% off. 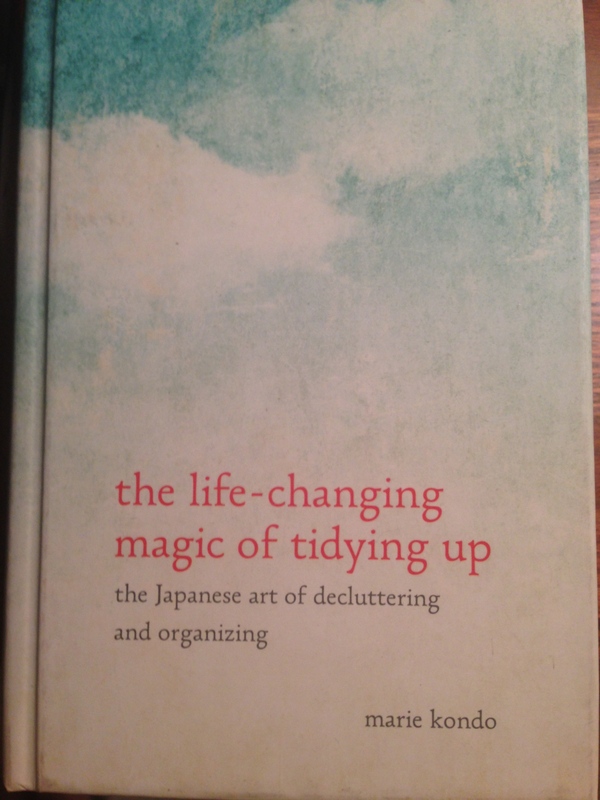 The seconds have some minor flaws but are totally beautiful for using at home or giving as a gift. 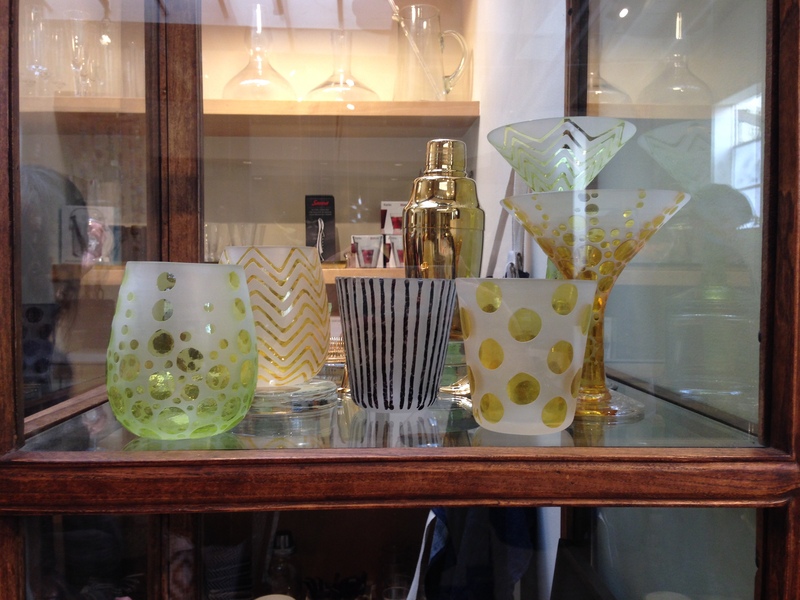 There are one of a kind and seasonal pottery too. Melissa, my younger daughter, said that she likes them better because they have character. 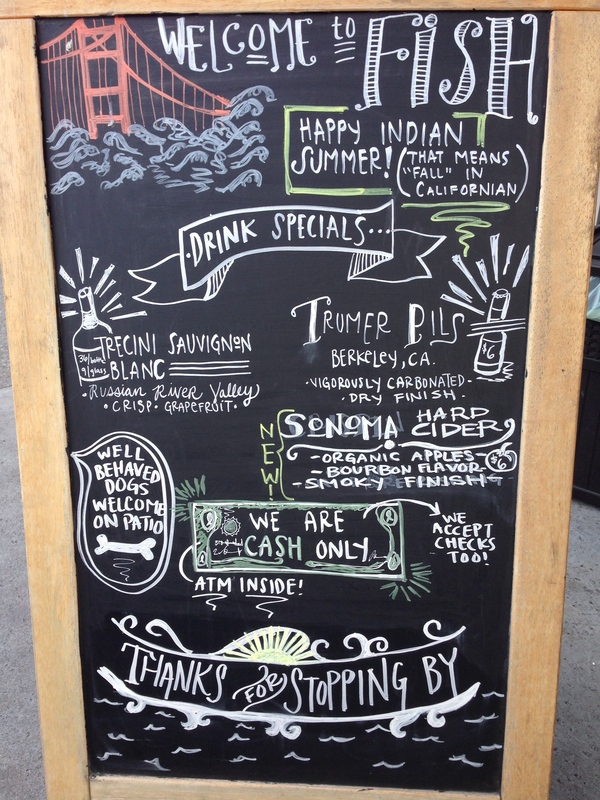 The second reason to visit Sausalito is Fish. 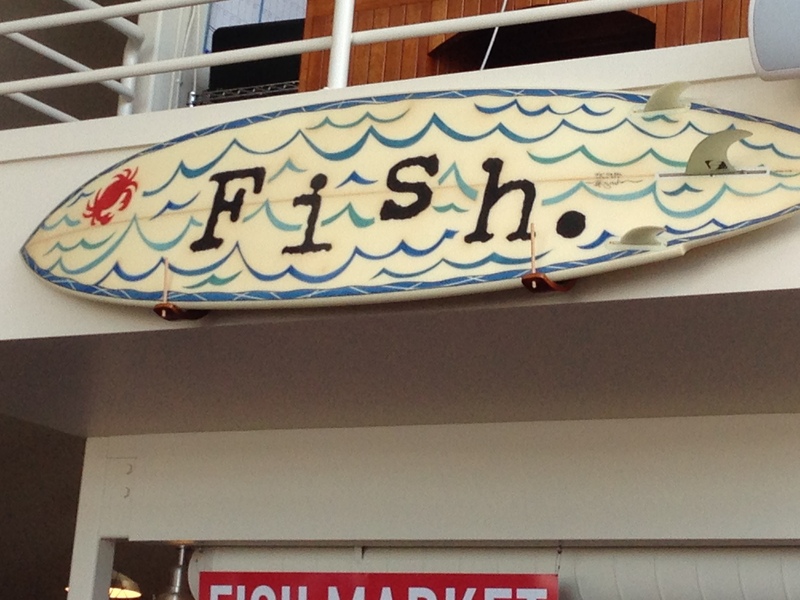 Fish is a seafood restaurant(obviously) that has my favorite Portuguese red chowder. It’s a tomato based clam chowder with linguica, cilantro, smoked paprika, and watercress. It is simply delicious! 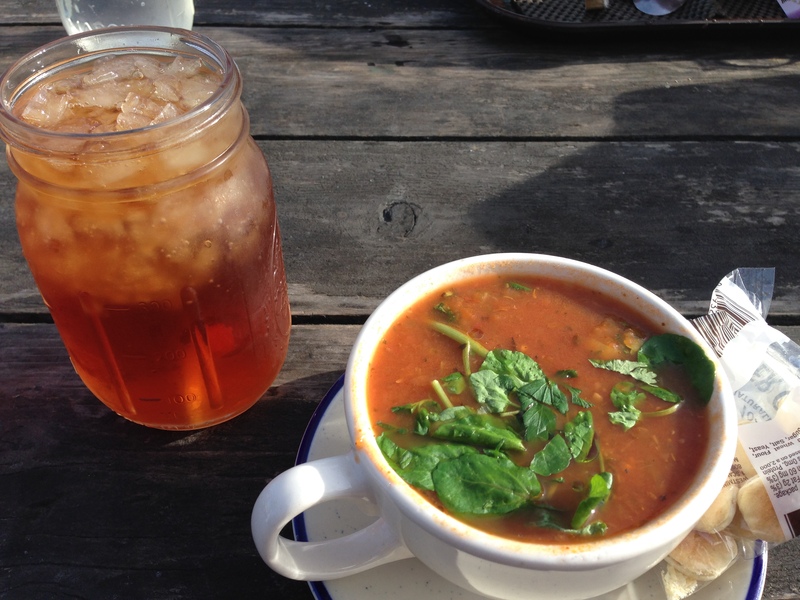 Fish uses sustainable fish and everyone eats outside on picnic tables and drinks out of Mason jars. The view of the Marina is just beautiful! Fish is a cash only restaurant but they have an ATM inside. 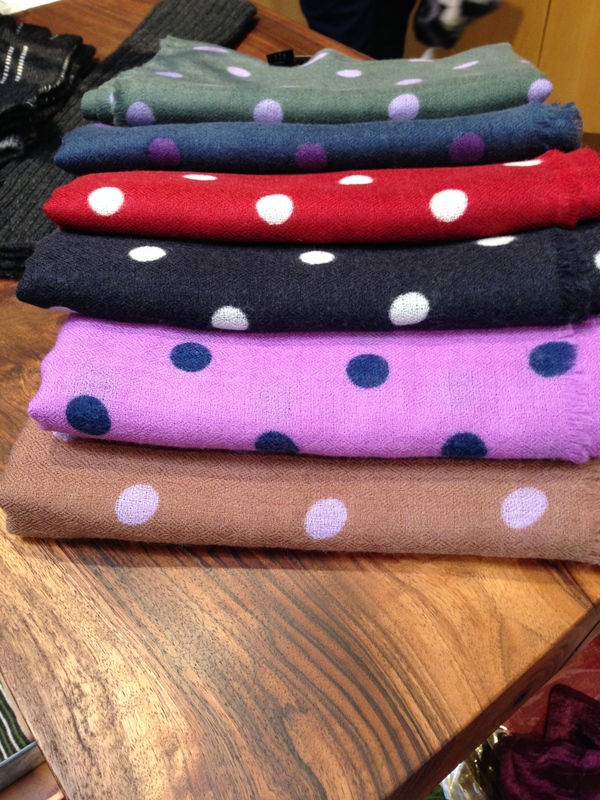 My favorite shop on 4th Street (The Gardener) has wonderful polkadot scarves! I looked in my veggie drawer today and found a bag of carrots! Should I make a French carrot salad from David Leibovitz’s My Paris Kitchen? No! I craved something sweet, spicy, and with a hint of fall. 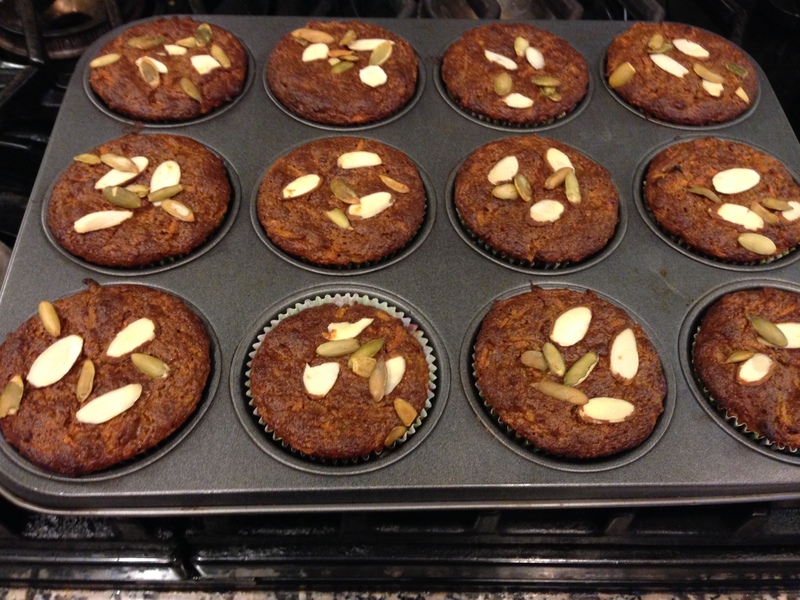 I found the answer to satisfy my craving (and use some of my bag of carrots) in this perfect recipe from Nom Nom Paleo’s blog, Paleo Pumpkin and Carrot Muffins. These muffins have a special secret ingredient, Five Spice. Five Spice is an Asian spice combo made of Cinnamon, Star Anise, Fennel, Cloves, and Szechuan Peppercorn. My jar of Five Spice also had Ginger, Licorice, and White Pepper. That’s more than 5 spices but who’s counting. This sweet and savory spice mix adds just the right pizzazz to these delicious muffins. 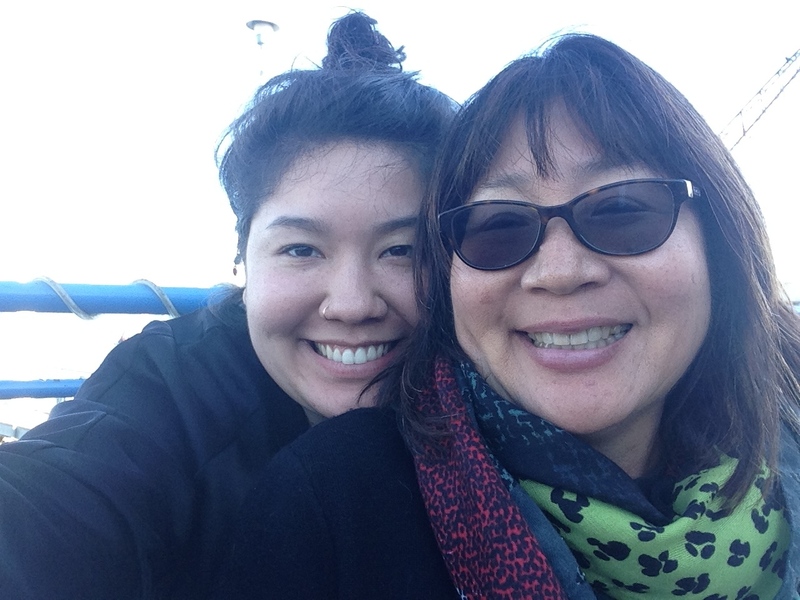 Recently, Michelle Tam of Nom Nom Paleo fame hosted a Pop up Paleo Brunch at the Departure restaurant in Portland, OR. The chef of Departure, Gregory Gourdet, is a current contestant on this season’s Top Chef Boston. He created this wonderful recipe and served it at the Pop Up Brunch. These muffins are some of the best muffins I’ve had in a very long time. 1. Preheat oven to 350 degree F. Place the rack in the middle position of the oven. Make sure to remove the eggs from the refrigerator so that eggs are at room temperature when blending the liquid ingredients or the result may get chunky. 2. Peel the skin off of the carrots. Grate peeled carrots by hand or food processor. 3. Place the freshly grated carrots into a piece of doubled cheesecloth or a clean dish towel. Gather up sides of the cloth and wring out excess carrot juice. Set aside for later. 4. In a large bowl whisk together : almond meal, Five spice, baking soda, cream of tartar, ground cinnamon, and sea salt. 5. In a separate bowl, whisk the eggs well. Mix in the pumpkin, honey, almond butter, and melted coconut oil. Make sure all these ingredients are room temperature to insure a smooth batter. Cold ingredients could cause the melted coconut oil to harden and clump up. 6. Add the wet ingredients to the dry ingredients and mix until combined. 8. Scoop the batter evenly into the muffin tins, filling them about ¾ full. 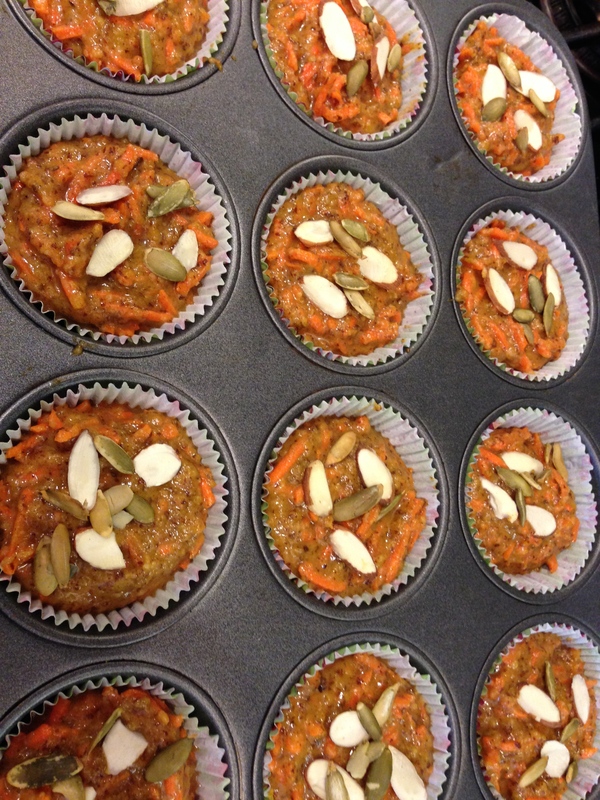 9, Sprinkle top of muffins with pumpkin seeds and sliced almonds. 10. Bake muffins for 15 minutes. Rotate muffin pan 180 degrees. Bake an additional 15 minutes. (Total baking time = 30 minutes). 11. Muffins are done when a toothpick inserted comes out clean and tops feel springy to the touch. 12. Cool the muffin pan on a rack for 5 minutes. 13. Pop out the muffins and let them continue to cool completely on the wire rack.